P.S. 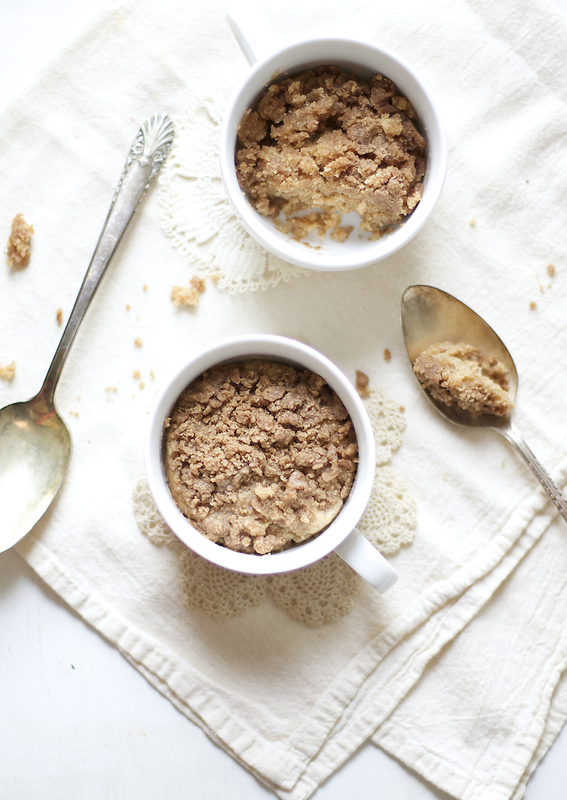 If you like this recipe, you'll also love my 5-minute berry cobbler in a mug! Place the butter in a mug. Microwave for 10-15 seconds to soften the butter. Remove from the microwave and stir in all ingredients, except for the flour. Mix until well-combined. Fold the flour in, making sure to not over-mix. Using your spoon gently push the batter together into the bottom of the mug. Set aside. 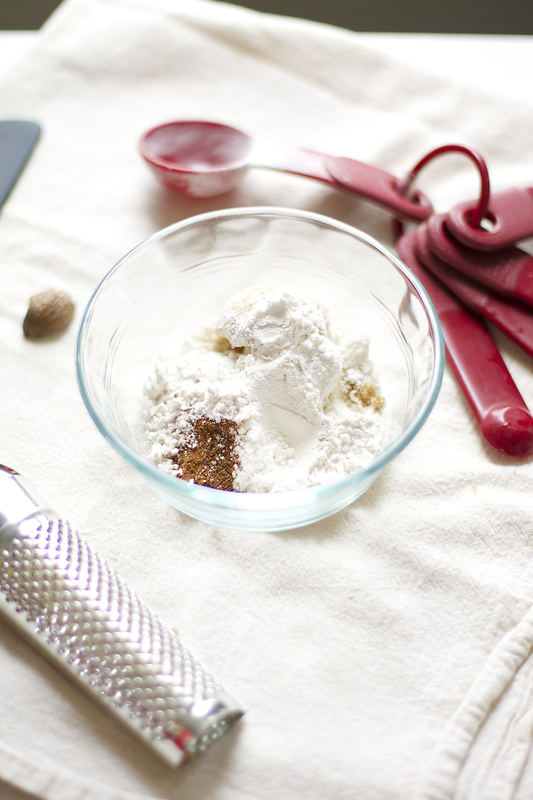 To make the topping, use your fingers to mix the butter, flour, sugar and spices together to form a crumbly mixture. Add to the top of the cake. Microwave the cake for 60 seconds (the time may vary depending on your microwave, but it should take anywhere from 50-90 seconds). Serve immediately with milk or coffee. If you don't eat the whole thing at once, a) what is wrong with you?! and b) you can reheat it for 30 seconds in the microwave. To make a pumpkin version of this cake, simply reduce the Greek yogurt to 1 tablespoon and add in 2 tablespoons of pure pumpkin puree. Everything else stays the same. If you decide to use a sweetener other than sugar just be conscious of the substitution amounts (i.e. for the Truvia, I used 3 teaspoons in place of the 2 tablespoons of sugar).